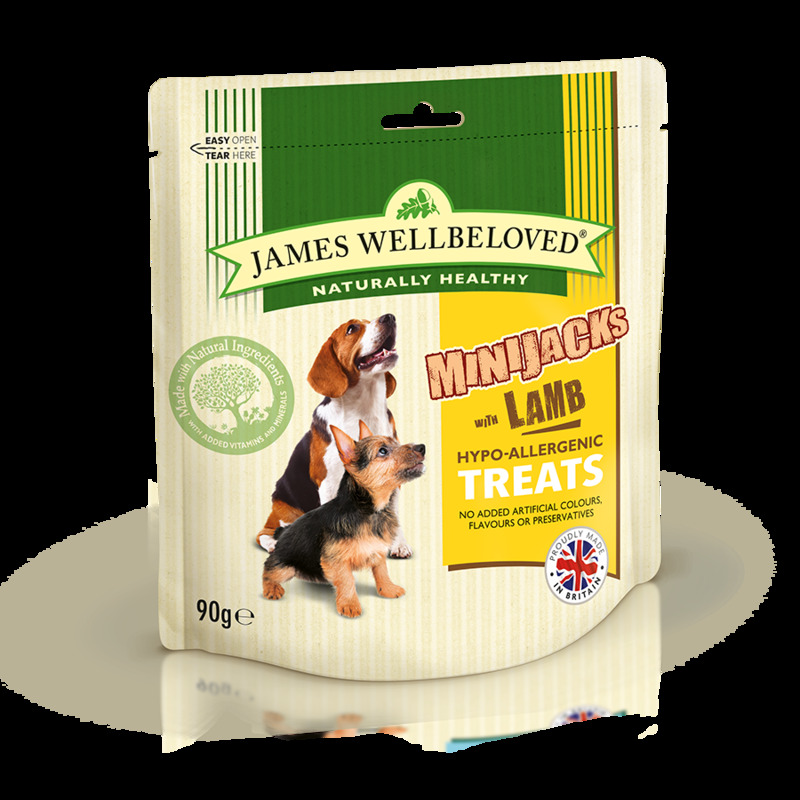 MiniJacks are the smaller alternative treat for dogs. 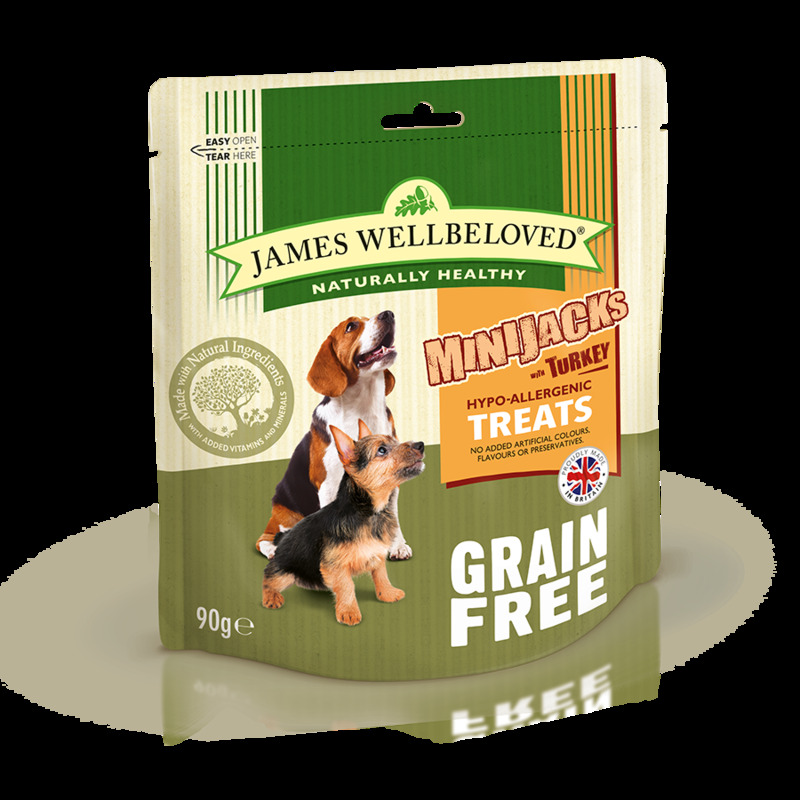 These hypoallergenic are perfect for rewarding dogs during training or simply used a treat for smaller dogs. They come in four great flavours: turkey, lamb, ocean white fish and duck. 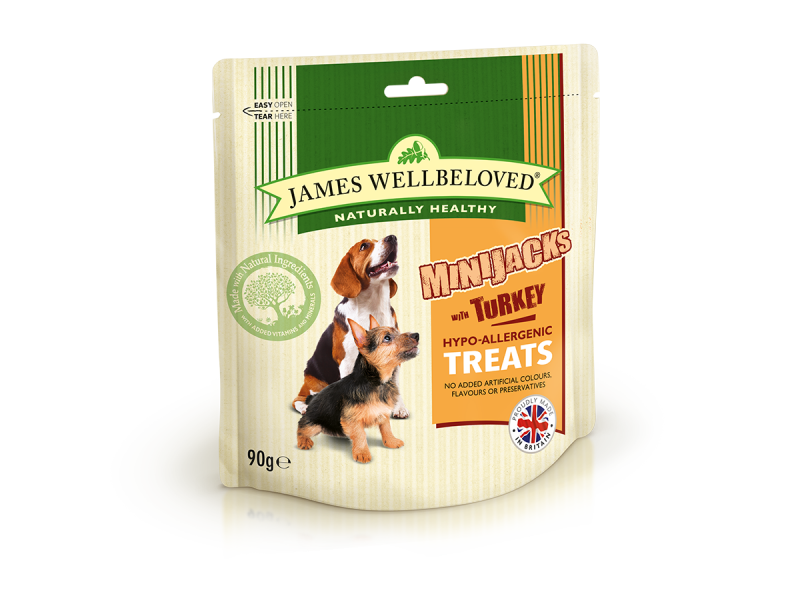 There is also cereal free availability in the turkey and lamb varieties. 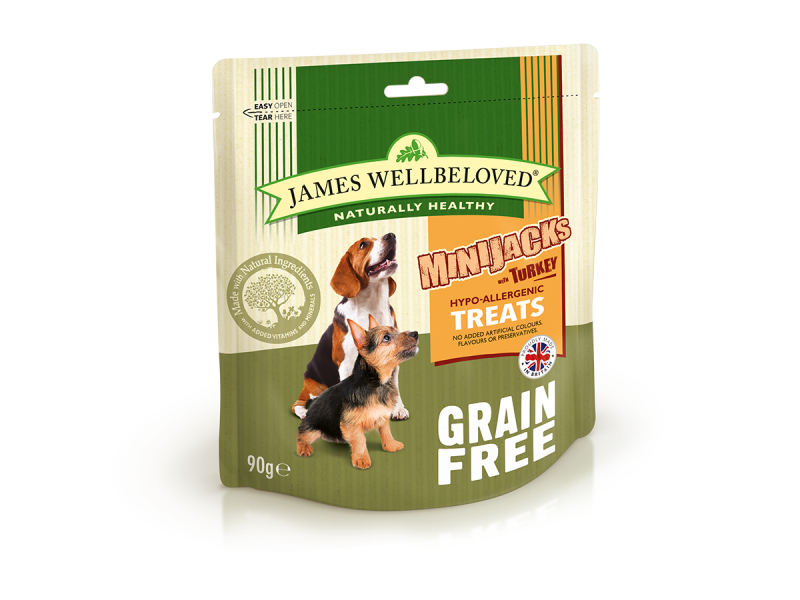 There are no added artificial colours, flavours or preservatives, creating a natural, healthy treat for your dog. Potato flakes, lamb meat meal, pea starch, tomato pomace, sunflower oil, peas, mixed herbs, carrots, sodium chloride, lysine, D.L-methionine, threonine, glucosamine (275mg/kg added), chondroitin (225/kg added). Potato flakes, turkey meat meal, pea starch, tomato pomace, turkey fat, peas, mixed herbs, carrots, sodium chloride, lysine, D.L-methionine, threonine, glucosamine (275mg/kg added), chondroitin (225/kg added). Rice, duck, duck fat, tomato, potato, potato protein, poultry protein, mixed herbs. Minimum 55% rice, minimum 20% duck, minimum 10% tomato. Rice, fish, tomato, potato, olive oil, potato protein, fish oil, mixed herbs. Minimum 55% Rice, min 14% fish, min 10% tomato. Rice, lamb, sunflower oil, tomato, potato, potato protein, mixed herbs. Minimum 55% rice, minimum 10% lamb, minimum 10% tomato. Rice, turkey, turkey fat, tomato, potato, potato protein, poultry protein, mixed herbs. Minimum 55% rice, minimum 20% turkey, minimum 10% tomato. Protein 15%, oil 12.5%, ash 7%, fibre 6%. Protein 15%, oil 12.5%, ash 6%, fibre 6%. Protein 15%, oil 15%, ash 4%, fibre 4%. There are currently no questions for James Wellbeloved MiniJacks Dog Treats - be the first to ask one!